School is out, dancing is in! Our Summer Camps feature a variety of dance activities, flexible schedules, affordable rates, and a top-notch dance faculty. For dancers aged 3-6. In each session dancers will explore a different Disney Princess, learn a dance, make a craft, tea party and much more. Dance curriculum will include Jazz and Ballet movements. $35 per class includes a free tutu per class in Princess coordinating colors. Ballet shoes and leotard required. Weekly field trips and swim time! Field trips are additional $25 a week or $7 per field trip. 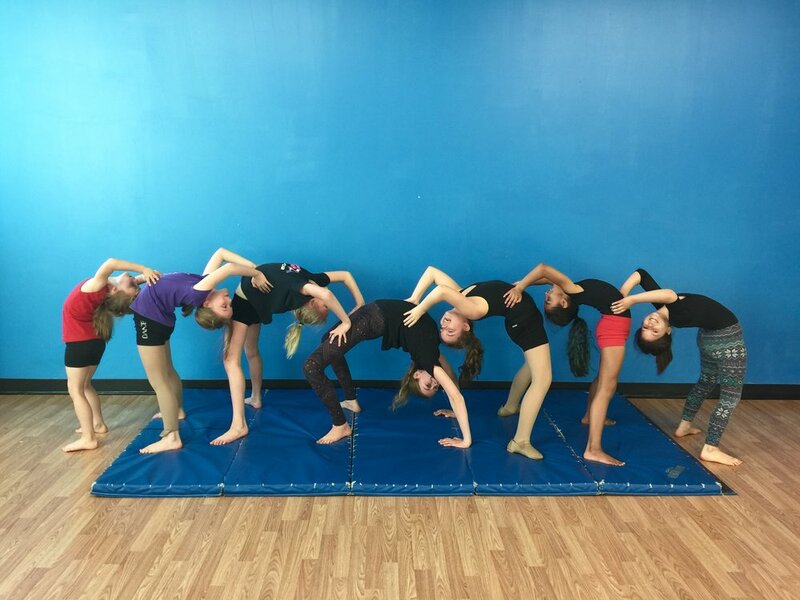 Acrobatic Arts is looking for students age 8-17 to help demonstrate at an Acrobatic Arts Teacher's Training and Certification course here at MFA Studios. There is no cost to participate, and we promise, you will learn a lot! Dancers should be able to go down into a bridge from standing on their own and have a nice cartwheel as minimum requirements. This camp will focus on strength, flexibility, acro, and tumbling skills! Must already be able to do a bridge and cartwheel. $15 for one day or $60 for 5 day camp. Limited spots available. Hip-Hop, Jazz, and Tumbling For Boys and Girls. An energetic dance class using current popular age appropriate music. Learn the latest dances to show your friends. $125. A comprehensive look at applying artistry to classical ballet movement. This will include discussion of classical ballet, contemporary movement, and some conditioning. A thorough introduction to modern dance technique. Students will learn staples of Graham, Horton, and Ailey technique along with choreography.